What we’re up to might rattle a window or two, but our aim is to build rather than destroy. 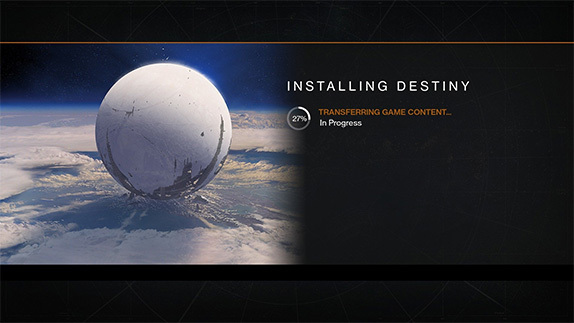 These packages are updates to Destiny. “Deployment” is how smart people like to dramatize the delivery of content to the Internet. Like a bomb. Or more like a care package, in this case. At Bungie, there is a team. There are many teams like it, but this one is committed to giving you new reasons to play Destiny. They live at the end of the feedback loop. You tell us what you want your game to do. After some intent listening, they debate what they want to tackle first. Those decisions are also tempered by their own experiences in the game (one of them asked me to apologize for his exotic hand cannon killing spree in the Crucible last night). Their mission is to keep the Destiny experience fresh with new experiences. Those are the broad strokes. More detail is on the way. There will be Dev Notes and Patch Notes and love notes on our forum to explain what we mean, why we’re doing this, how it will all go down, and why we think it’s awesome. For now, we just wanted to let you know we’ve been thinking about you, and working on some game changers we hope you’ll enjoy. As you take these updates, you’ll be downloading some large files. When we shoot our way through the living social world of Destiny together, we share the same version of that world. Whether you explore more deeply into that world or not, it will continue to grow. We’re adding some real estate for you to reclaim in The Dark Below. We’re also adding some mood and polish to untapped environments. These are the things that turn an empty space into an experience – the sort that finds you fighting for your life. Our team has been weaving a new web to ensnare you. Sam Jones, our Head of World Art, has created an art gallery that explains why his team is excited to have you step back into their parlor. “The Dark Below delves deeply into some new, unexplored, and very beautiful places,” says Sam. Check out the places you’ll go to protect Earth from a new threat. Deep beneath the abandoned architecture of the Cosmodrome lies the Serpahim’s Vault. Eons-old crypts of inscrutable power and knowledge lie in wait for the seasoned explorer. Rob Adams was the Lead Artist on Cosmodrome and put a lot of personal passion and energy into the visual realization of Rasputin’s chamber. Sharp observers will already wonder what the other space communications building in the Cosmodrome keeps hidden away. In The Dark Below, ‘The Jovian Complex’ is opened at last and some truly frenetic combat takes place herein – not before taking in some of the gorgeous Hive-infested spaces that the Cosmodrome environment Art Team put together. Buried under the shifting sands of Mars the Hypogeum and its ancient secrets await discovery. Built by the Vex in another age altogether, this chamber of ancient power houses an extremely powerful and watchful guardian. Built by Jason Sussman (art owner of Mars) as a perfect complement to the Black Garden, this space is designed to deliver tight, directional combat. In the deepest, darkest, inner sanctum of the Moon’s Hive interior, we gain access to the Chamber of Night, in which the bleached bones of a long forgotten and vast lunar dweller rest. It’s rumored that dark rituals and mass gatherings of Hive witches happen here. A major goal of this space was to nail the surreal qualities of this awesome concept by Ryan DeMita. As you can see, our artists are as anxious as the shooters for whom they build. These spaces are ready for action. They’re not alone. More awaits you in the darkness below the surface of the moon. I had some art on deck to serve as a warning, but cooler heads decided to let you face the unknown with your favorite weapon and a Fireteam of six. Previous Post:Saturn/Europa in Destiny’s Sequel?